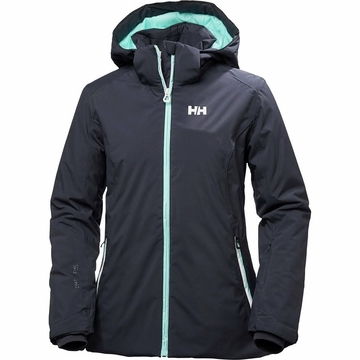 "A modern styled 2L Helly Tech Performance insulated ski jacket with a technical edge. Get on the slopes in this fully featured waterproof, breathable, fully seam sealed ski jacket. Fully insulated with PrimaLoft thermal protection for winter squalls, or while waiting for your friends on the slope. Two-way mechanical stretch allows for flexibility, and Primaloft insulation keeps you warm despite the weather. 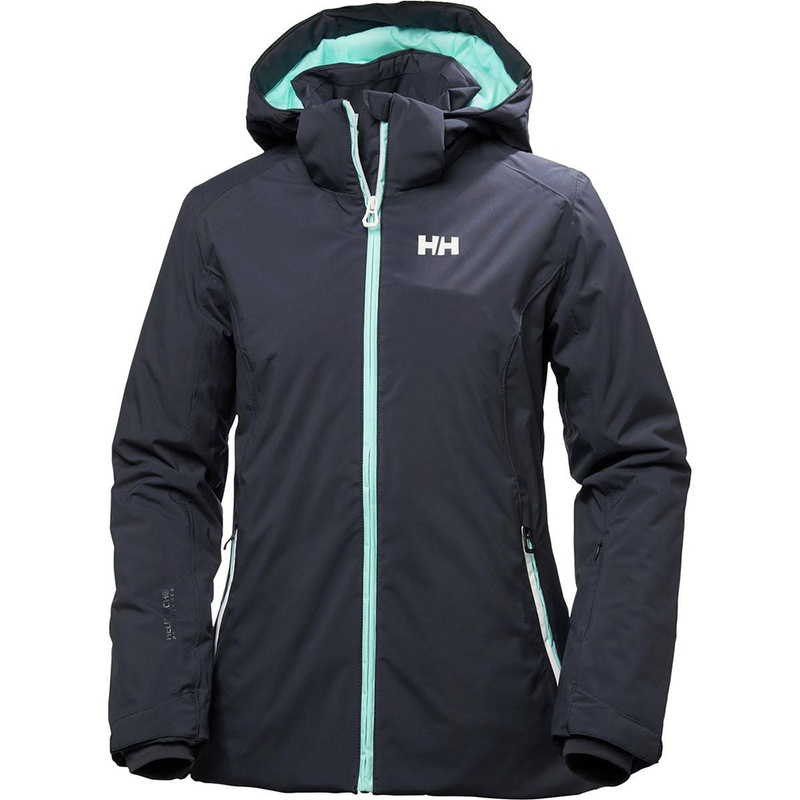 Durable water-repellent (DWR) treatment and water-resistant zippers keep water and snow out, so you can ski happily all day long in the Helly Hansen Spirit jacket for women. Hood is helmet-compatible for convenience "